Today there is new knowledge and understanding about the brain in regards to pain. To fully understand the concept, it’s important to identify and grasp the link between pain, our brain and our behavior. Lifestyle and physical activity has a large impact on pain and usually, a person who experienced pain was prescribed a dose of rest. We don’t feel pain until it gets to our cortex, which doesn’t help, actually making the pain worse. Pain is an energy thief. It succeeds in disturbing your concentration, your mood and it makes you tired and run down. The system within us that regulates our pain is very important – it’s just when there’s a bug in the system that it becomes a greater problem for us. If you have pain and you just ignore it, the pain gets stronger. Your body is telling you that something is wrong and if you continue to ignore it, your body will scream louder. The longer you wait and prolong finding an effective solution, the more hyper your pain system will become even if the damage/ injury is the same. Pain creates pain. 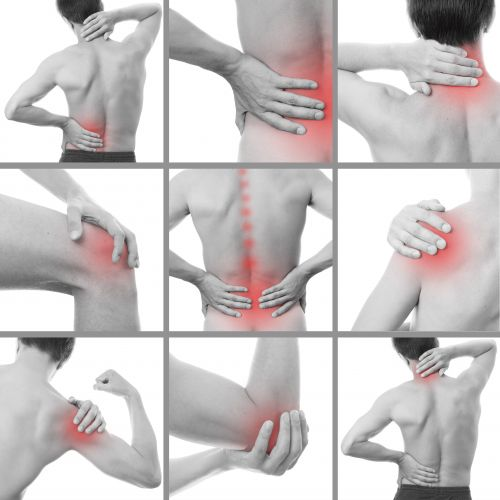 When you are in pain, you start to compensate by repeating the same movements but in a different way. If there’s no explanation for the pain, training is usually the best medicine. When you are in pain, you start to avoid certain movements and as a result you begin to over-compensate on specific muscles and body parts. At this stage, your brain believes that it’s protecting the body from an injury and signals pain. And if you neglect the sensations for a longer period of time, you start to build up a muscle defense – tight muscles as protection. Everything you feel and sense will have an impact on how you experience the pain. Factors such as stress and anxiety can worsen the sensation of pain. If you are afraid to be in pain, the brain will send signals to improve the significance of pain. But if you think about positive things that you feel good about, the signals decrease. You can train your pain regulation system to be stronger and better. The pain signals from the body release activity in different parts of the pain system. The longer you have pain, the lower the threshold gets to stimulate the sensory cells that make you experience pain, and the stronger the pain signals get. Long-term pain causes change in the brain as the pain gets centralized over time. It means that the brains pain system is hyped up and even if there aren’t any active signals of pain, the brain still feels pain. The pain system gets remodeled in the spinal cord where it receives the pain signals. Pain in the shoulder can change to pain in the whole arm. Pain in the lower back can spread to the thoracic spine. If you have pain over a long period of time without treatment, the risk of getting more pain increases, even if the injury doesn’t evolve. Why does the pain get worse even if the injury is the same? If the pain doesn’t get treated, the body creates more nerve endings, where more pain receptors lye. Your system becomes more sensitive but with feel-good hormones we can make them calm down somewhat. These feel good hormones are called Endorphins, which are released with physical training and positive experiences. Why does some people get chronic pain and some don’t? It seems that we are born with a different pain tolerance. It can also be dependent on factors such as; a previous injury, trauma, pregnancy, smoking or inactivity, bad working routines and ignoring the pain in the early stage etc. It’s important to break the pain cycle. Things like stress, anxiety, junk food, painkillers and inactivity are examples on things that can trigger the pain. It can be hard for the person in pain to break the pain cycle and sometimes help is needed. It’s important to work with the brain, via acceptance and awareness regarding pain. Anxiety, stress, bad sleep and inflammation are the pains best friends and that is why you need to change your bad habits. Be active, try and exercise every day. More is better than a little, and a little is better than nothing. If you can’t run, walk, and if you can’t walk, look at seated exercises. Engage in exercise that decreases stress and anxiety, including yoga, tai chi or meditation. Get a massage! Physical contact is good for your well-being and for pain maintenance. Think about your diet. Reduce your caffeine intake, as well as sugars, bad carbs and any other toxic substances, allowing your body to heal. A heavy body puts extra pressure on your joints and high blood sugar can lead to diabetes.